Witnessing Jerry Lee Lewis on stage was like facing a solar storm. Explosions of light splashed off of him as he pounded the devil’s beat. Golden, wavy locks tumbled from his pompadour to hover around his aristocratic ecstatically sweating face. His leopard skin suit shimmered from lascivious hip gyrations around the piano bench. His patent leather shoes danced up and down the Steinway keyboard; ruining the rental piano for any other customer, unless they expressly wanted to buy a seven foot grand with Mr. Lewis’ signature scuff marks on the top. He was a bad boy, but the baddest thing about him was his wife; his underage cousin/wife. She didn’t move a muscle while Jerry Lee was performing. She just stood there in the wings, simmering; wearing a leopard skin dress that was too old looking for her real age. She was about my age. I had just gotten my driver’s license and promptly lost my virginity on Dunedin Beach in the backseat of my step father’s Buick. But Jerry Lee’s cousin was something else. I felt her looking at me when I wasn’t looking at her. Our show had been great. Jerry Lee’s celebrity pixie dust was on us too. Its was a contagious time. A band could feel great because of the euphoria that the music was generating. Everyone felt the rock n roll energy. It was a liberating enlightening juice running through everyone like sensual electricity. It was great to be alive and in a band. The local girls screamed for us, while their boyfriends sulked at the back of the Star Spectacular auditorium complaining about paying for admission so their girlfriends could run down to the stage and scream at Those Five. This had resulted in several showdowns at lunchtime at Clearwater High. Richard was a different person in his karate school; ageless, black robes, inscrutable and deadly. I learned great tools; meditation, zen, Alan Watts. I learned the katas; dances of death. But I was still thinking about Jerry Lee’s cousin. 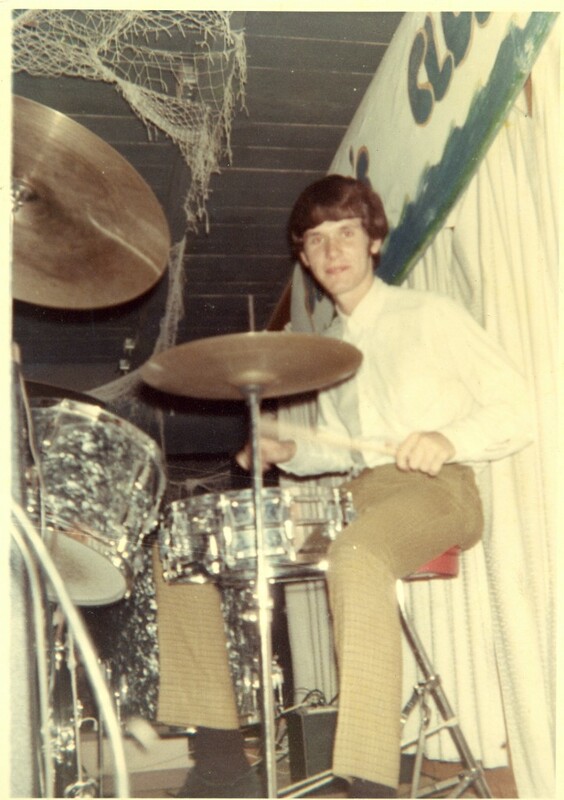 When we played at the Surfer’s club in Madeira beach I had an epiphany about what rhythm did to people; I sat onstage and watched all my generation dance to the beat. They were all jumping up and down together, in ecstatic dance. A tribal experience that was sacred. They were sharing the mojo of the hit songs of the day: Roy Orbison’s ‘Pretty Woman’, ;Summertime Blues’ by Eddie Cochran, ‘It’s all over now’ by the Stones, ‘Lightning strikes again’ by Lou Christie, on and on…(Lou Christie’s wife drummed with us at Seasons in Santa Monica fifty years later). But what i saw was the essential human experience of sharing a groove. It made us all belong. Now they talk about Oxytocin being the chemical that creates this bonding. The same chemical that secretes when a mother bonds with her new born infant is the same chemical cocktail that occurs when people share music together, especially in a band. Blame it on the oxytocin.